When you work full-time selling Sarasota waterfront real estate, it's hard to get away for a few days especially since Siesta Key is now no. 2 on the recently published America's Best Beaches 2009 list by Dr. Beach. This week I took a break and went to visit family in Asheville, North Carolina. Asheville mountain real estate is fun to visit in the summer. I caught up with my friend Elizabeth Bagley over lunch at Cafe Azalea in Asheville too. Elizabeth and I worked together for several years at King & Spalding in Atlanta. She grew up in Asheville and returned home to live and work just as I moved to Sarasota. Elizabeth has a thriving jewelry business. Nancy Rivers, one of my hostesses, took me on a quick late afternoon tour of Asheville's new Arboretum. Nancy knows I love landscaping and plants, and this daughter of a Mississippi planter is truly amazing with her landscaping abilities. She's a nurse in "real life" at the Veteran's Hospital in Asheville and enjoys playing in the dirt when she is home. I look forward to implementing some of the great ideas from the Asheville Arboretum in the yard and pool area of my home. Landscaping can increase the value of your Sarasota home for sale even if it's a small project to make a statement at your entrance. If you are purchasing Sarasota waterfront real estate in the next few months, give us a call to add you to our showing schedule. We show homes on the water on Siesta Key, Bird Key, West of the Trail, Lido Key, and Longboat Key regularly. When my friend Melanie Wright called last week and said let’s go on an adventure to Pine Island, I quickly agreed as we haven’t been to Crossed Palms Gallery in 5 years. Melanie and I took a day trip from Sarasota in 2004 right after Hurricane Charley caused its havoc on the state of Florida. I was anxious to see the progress of Pine island since that mess and to visit this quaint little art gallery in its tropical setting right across the road from beautiful Charlotte Harbor. We left Sarasota about 10:30 am on Sunday morning and were having lunch on the water at Bert’s Bar and Grill in Matlacha by noon. Bert’s was slowly filling up with locals, and we had a two-hour seafood lunch enjoying the sites and sounds of fishermen, friends and families. One group was celebrating a 50th birthday and another had just arrived by boat to plan their 4th of July Celebration. Bert’s has been in Matlacha since the 1920s and is the “local watering” hole so to speak. Our main objective on this adventure, as I said, was to visit Crossed Palms Gallery at Bokeelia. Crossed Palms showcases fine art, pottery, blown glass, sculpture and jewelry. Meandering from room to room, I found a mermaid chair that I just loved. The price tag was approximately $1,200. My next closing of Sarasota real estate, and I’ll head back down to Crossed Palms for the mermaid. Cheryl, one of the owners, kept us entertained with her island stories while we browsed. Cheryl suggested the Tarpon Lodge if you plan to spend the night on Pine Island. The Tarpon Lodge Restaurant is open daily from 11:00 am-9:00 pm if you’re enjoying Pine Island for the day. Crossed Palms Gallery is located on Charlotte Harbor at 8315 Main Street, Bokeelia, Florida. You can reach Cheryl at 239-283-2283. Tell her Annette and Melanie from Sarasota, Florida say “we’ll be back soon”! 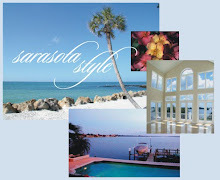 For information on Sarasota waterfront homes, contact Annette Smith at 941-504-3922 or send an email for a prompt reply.